"I'm sitting here waiting for my New Enterprise Allowance mentoring session...unfortunately all the Job Centre computers are on Wi-Fi (attendant said; "can't afford Ethernet"), funny I was at Jamie's' computers getting mine sorted out the other day and all their computers are on Ethernet and Jamie's' is a charity!....I get my Job Coach to see me on the same day as my NEA mentoring if possible because I can claim back my travelling expenses on NEA. When I was on DLA they wouldn't fund me to go self-employed as a multi-level marketing distributor (no-names-no-pack-drill), but now I'm not getting those benefits they will! Hmmmph...."the head bone's connected to the neck bone now hear the word of the algorithm!"" "Can't afford ethernet? You can pick up a 48 port cisco switch for 300 quid. Admittedly you need the structured wiring also but which office that has been used in the past 20 years does not have that already installed? Also, imho, ethernet is typically faster and more secure then wifi. If this is the state of job centre IT infrastructure right now then god help us." Posted by mike January 18, 2019, 6:19 pm, in reply to "Hi from Southampton Job Centre!" "It was physically unpleasant to use the computers..I got a headache almost instantly...I'm contemplating arriving wreathed in garlic next time..!" Posts to the Lifeboat News ("TLN"), message board, subject to edit, all posts by author unless otherwise stated. UK Advisory Group on Non-Ionising Radiation a Compromised Body? Quote; "One story that never made it into the mainstream media or even any independent media outlets in the UK at the time was the disbanding of the UK Advisory Group on Non-Ionising Radiation (AGNIR) in May 2017. This followed the revelation in December 2016 that AGNIR’s latest assessment of the science on the health impacts of radiofrequency electromagnetic fields (RF-EMFs)—the type emitted by modern wireless technologies—was inaccurate and subject to conflicts of interest, a story that elicited no media interest in the UK either. "For some reason, AGNIR set the cut-off date for research to be considered in its report as December 2010. This meant that it excluded reference to the classification in May 2011 of RF-EMFs as a 2B possible human carcinogen by the International Agency for Research on Cancer (IARC) and to a paper by the IARC Monograph Working Group published in The Lancet in July 2011. "..the executive summary and overall conclusions of the AGNIR report disregarded or excluded much of the evidence of harm to health from RF-EMFs (p. 493). According to the British Medical Journal’s website, biases in reviewing science and in conclusions reached can be considered scientific misconduct: the definition of falsification of data ranges from ‘fabrication to deceptive selective reporting of findings and omission of conflicting data, or willful suppression and/or distortion of data.".. "the AGNIR report also was subject to conflict of interest: AGNIR’s chair, Anthony Swerdlow, and two of its members—Maria Feychting and Zenon Sienkiewicz—were also members of the controversial International Commission on Non-Ionizing Radiation Protection (ICNIRP), whose contested RF-EMF exposure guidelines have been adopted by most of the western world, including the UK. In fact, in 2012 Swerdlow was chair of AGNIR and simultaneously chair of the ICNIRP standing committee on epidemiology. "Any queries addressed to governments or public health bodies in the UK about the safety of wireless technologies continue to be dismissed through reference to the ‘authoritative’ AGNIR report from 2012. Recent research, however, has strengthened IARC’s 2011 classification of RF-EMFs as a 2B carcinogen.".. "Following the disbanding of AGNIR, the assessment of health risks from RF-EMFs is now the responsibility of the Committee on Medical Aspects of Radiation in the Environment (COMARE), another expert committee which is supposed to provide ‘independent’ advice about the health impacts of both ionising and non-ionising radiation. The UK government website states that COMARE has a watching brief on non-ionising radiation and that Public Health England ‘remains committed to delivering expert review reports on non-ionising radiation topics as and when sufficient new evidence has accumulated.’ No review of research on non-ionising RF-EMFs appears to be on the horizon in COMARE’s work programme for 2018-19, the main focus of which remains ionising radiation.".. "As a scientific appeal of September 2017 made clear, 5G deployment will lead to a massive increase in mandatory exposure to RF-EMFs. Over 180 scientists from 35 countries called for a moratorium on the roll-out of 5G technology in the EU until potential hazards for human health and the environment have been fully investigated by scientists independent from industry.".. Quote; "You're probably aware that AGNIR, like their older brother ICNIRP, were created to mislead and stonewall on the effects of electromagnetic fields. The BMA and other NHS bodies quoted and followed the pronouncements of these bodies religiously, apparently blind to the most obvious of gaps - like the fact that the ICNIRP guidelines were designed to protect against serious effects arising from sudden large exposures, like shocks and burns - and expressly excluded long term effects like cancers. Perhaps this is of merely historic interest now - this below is from 2006, commentary I wrote on a report of theirs on headache effects, in which they brazenly turned black into white. Headaches, fatigue, loss of concentration, memory loss, skin problems….are sometimes referred to as ‘microwave sickness’. The official line on such symptoms and EMF ought to be challenged. headache, fatigue, irritability, loss of appetite, sleepiness, sweating, difficulties in concentration or memory, depression, emotional instability, and also bradycardia (or occasionally tachycardia), hypertension and abnormalities of cardiac conduction. So – according to AGNIR, reports of headaches etc are pretty inconclusive, maybe all in the mind, brought on by “psychological” or “cultural” influences and beliefs in certain parts of the world. and then further downplayed by AGNIR, but lets go along with the gag and leave them out. In another (Siekierzynski) I couldn’t find the abstract and the conclusion is unclear, and a fourth (Lee) although claiming an effect is not credible in this context. That leaves ten studies. At this stage, having chucked out 3 or 4 postive studies, the reader is invited to guess, out of the remaining ten studies, how many positive and negative findings prompted AGNIR’s description of a picture of “apparent inconsistency”, and consequent diagnosis of symptoms that are “psychologically induced” and “culturally influenced”? Well go on then, guess. Five positive and five negative? How many negatives? The answer is … NONE. They ALL found positive (significant) effects, some were multiple. Bear in mind that a positive (=statistically significant) effect is one that would have had less than a 5% probability of occurring purely by chance. These studies are listed below, but lets carry on with the commentary. AGNIR says “Some studies, particularly in Eastern Europe and Scandinavia have suggested …”. So is it a communist bloc/northern type of thing? Hardly - in fact, there are 7 studies from the US, France, Australia and Italy – almost half the total. “However, this has not been a universal finding”. “In some investigations, associations may have occurred spuriously as a consequence of biased ascertainment of health outcomes or failure to take adequate account of confounding variables”. So … in TEN studies there was either bias or all confounding errors happened to fall on the same side? Kind of implausible. Given the results are remarkably consistent, this is a speculative conclusion directly OPPOSITE to the results. With precisely NOTHING offered by way of evidence to support it, there is no science behind it and it seems to reveal a clear predisposition to dismiss positive findings. 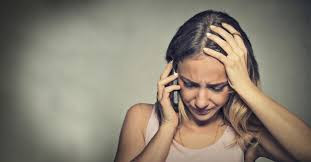 With about ten out of ten (used to be a good test result in the old days) the studies VERY STRONGLY SUPPORT the connection between EMF and headaches and the rest. NO OTHER CONCLUSION IS REASONABLE. Why the BMA blindly supports this is a mystery. So much for sound science. “The existence of a strong, yet unidentified and not even hypothesized con-founder present in every population studied is less plausible than accepting EMF as the causal factor”" With thanks to Walter for this post to TLN (subject to edit), go to: http://members5.boardhost.com/xxxxx/index.html for this and other stories. Mounting evidence suggests electromagnetic field (EMF) radiation from cellphones can trigger abnormal cell growth and cancer. Quote; "As early as 2011, the evidence was strong enough for the International Agency for Research on Cancer, the cancer research arm of the World Health Organization, to declare cellphones a Group 2B "possible carcinogen. 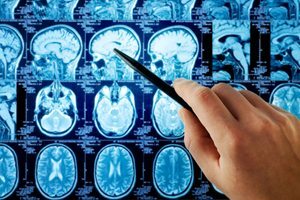 "3 Two government-funded studies4 bring renewed attention to this link"..
"In fact, the primary hazard of cellphone radiation is not brain cancer per se but rather systemic cellular and mitochondrial damage, which is harmful to health in general and can contribute to any number of health problems and chronic diseases. An estimated 80,000 U.S. men, women and children are diagnosed with a brain tumor each year.11 Meanwhile, 787,000 people die each year from heart disease.12 The relative rarity of brain cancer may lead you to believe that your cellphone is safe. 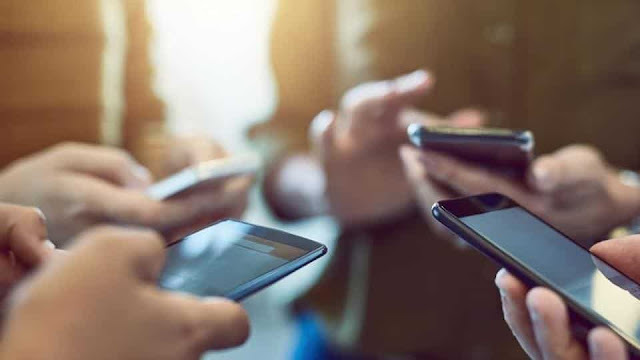 After all, when 91 percent of the adult population of the U.S. carries a cellphone13 and less than 0.02 percent14 develop a brain tumor, it may appear that using a cellphone is benign. The evidence shows it's not. Even these NIH studies reveal DNA and cellular damage, even though the researchers insist there's no explanation as to why. This, despite the fact that a number of other scientists and EMF specialists have presented evidence for a number of different mechanisms of harm"..
"The take-home message is that radiation from your cellphone weakens your blood-brain barrier, allowing toxins in your blood to enter your brain, and into the cells of your entire body. But that's not all. Following I will summarize evidence produced by a number of other experts in the field, who claim to have identified one or more mechanisms of harm.".. "Martin Pall, Ph.D., has identified and published research describing the likely molecular mechanisms of how EMFs from cellphones and wireless technologies damage plants, animals and humans.19,20,21,22 The process begins when low−frequency microwave radiation activates voltage-gated calcium channels (VGCCs)23 — channels in the outer membrane of your cells. Once activated, the VGCCs open up, allowing an abnormal influx of calcium ions into the cell. This increased intracellular calcium and the accompanying increase in calcium signaling appears to be responsible for a majority of the damage that occurs. Significant oxidative stress from peroxynitrites may also result in single-strand breaks of DNA.28 This pathway of oxidative destruction — triggered by low−frequency radiation emitted from mobile devices — may partially explain the unprecedented growth rate of chronic disease since 1990,29 and is a far greater concern than brain tumors. According to Pall's theory, the physical locations where VGCCs are the densest are indicative of the diseases you might expect from chronic excessive exposure to EMFs. As it turns out, the highest density of VGCCs are found in your nervous system, the pacemaker in your heart and in male testes. As a result, EMFs are likely to contribute to neurological and neuropsychiatric problems, heart and reproductive problems. "Alasdair Philips, founder of the Powerwatch41 — a British organization committed to uncovering EMFs' effects on health — believes there's even more to it than what Pall has discovered. He references Gerald Pollack's work on the fourth phase of water, so-called exclusion zone (EZ) water, which is the kind of water you have in your body.".. "Paul Héroux, Ph.D., professor of toxicology and health effects of electromagnetism at the faculty of medicine at McGill University in Montreal, also stresses the impact EMFs have on the water in your body. The mechanism of action proposed by Héroux involves the enzyme ATP synthase, which passes currents of protons through a water channel (similar to current passing through a wire). The protons have to go through about 20 molecules of water to get through this channel. ATP synthase is extremely ancient and common to all living systems. It basically generates energy in the form ATP from ADP, using this flow of protons. for full article, explanations and links. You can help support both my work and this blog by making a payment (however small, all gratefully received I can assure you). to: https://www.paypal.me/GerardHales?locale.x=en_GB If you're as skint as I am but you like my work please simply share this content! Quote; "Two decades ago, the US intelligence community worked closely with Silicon Valley in an effort to track citizens in cyberspace. And Google is at the heart of that origin story. Some of the research that led to Google’s ambitious creation was funded and coordinated by a research group established by the intelligence community to find ways to track individuals and groups online. The intelligence community hoped that the nation’s leading computer scientists could take non-classified information and user data, combine it with what would become known as the internet, and begin to create for-profit, commercial enterprises to suit the needs of both the intelligence community and the public. They hoped to direct the supercomputing revolution from the start in order to make sense of what millions of human beings did inside this digital information network. That collaboration has made a comprehensive public-private mass surveillance state possible today.".. "In the mid 1990s, the intelligence community in America began to realize that they had an opportunity. The supercomputing community was just beginning to migrate from university settings into the private sector, led by investments from a place that would come to be known as Silicon Valley. A digital revolution was underway: one that would transform the world of data gathering and how we make sense of massive amounts of information. The intelligence community wanted to shape Silicon Valley’s supercomputing efforts at their inception so they would be useful for both military and homeland security purposes. Could this supercomputing network, which would become capable of storing terabytes of information, make intelligent sense of the digital trail that human beings leave behind?".. "the internet itself was created because of an intelligence effort: In the 1970s, the agency responsible for developing emerging technologies for military, intelligence, and national security purposes—the Defense Advanced Research Projects Agency (DARPA)—linked four supercomputers to handle massive data transfers. It handed the operations off to the National Science Foundation (NSF) a decade or so later, which proliferated the network across thousands of universities and, eventually, the public, thus creating the architecture and scaffolding of the World Wide Web.".. "The research arms of the CIA and NSA hoped that the best computer-science minds in academia could identify what they called “birds of a feather:” Just as geese fly together in large V shapes, or flocks of sparrows make sudden movements together in harmony, they predicted that like-minded groups of humans would move together online. The intelligence community named their first unclassified briefing for scientists the “birds of a feather” briefing, and the “Birds of a Feather Session on the Intelligence Community Initiative in Massive Digital Data Systems” took place at the Fairmont Hotel in San Jose in the spring of 1995. Their research aim was to track digital fingerprints inside the rapidly expanding global information network, which was then known as the World Wide Web. Could an entire world of digital information be organized so that the requests humans made inside such a network be tracked and sorted? Could their queries be linked and ranked in order of importance? Could “birds of a feather” be identified inside this sea of information so that communities and groups could be tracked in an organized way?".. "Did the CIA directly fund the work of Brin and Page, and therefore create Google? No. But were Brin and Page researching precisely what the NSA, the CIA, and the intelligence community hoped for, assisted by their grants? Absolutely." Go to: https://qz.com/1145669/googles-true-origin-partly-lies-in-cia-and-nsa-research-grants-for-mass-surveillance/ for full article. Quote; "Known as the ‘open government’ law, FACA requires that US government officials cannot hold closed-door or secret consultations with people outside government to develop policy. All such consultations should take place via federal advisory committees that permit public scrutiny. FACA requires that meetings be held in public, announced via the Federal Register, that advisory groups are registered with an office at the General Services Administration, among other requirements intended to maintain accountability to the public interest. In an extraordinary document hosted by the website of the University of Texas, Thuraisingham recounts that from 1993 to 1999, “the Intelligence Community [IC] started a program called Massive Digital Data Systems (MDDS) that I was managing for the Intelligence Community when I was at the MITRE Corporation.” The program funded 15 research efforts at various universities, including Stanford. Its goal was developing “data management technologies to manage several terabytes to petabytes of data,” including for “query processing, transaction management, metadata management, storage management, and data integration.”"..
"Long before the appearance of Sergey Brin and Larry Page, Stanford University’s computer science department had a close working relationship with US military intelligence. A letter dated November 5th 1984 from the office of renowned artificial intelligence (AI) expert, Prof Edward Feigenbaum, addressed to Rick Steinheiser, gives the latter directions to Stanford’s Heuristic Programming Project, addressing Steinheiser as a member of the “AI Steering Committee.” A list of attendees at a contractor conference around that time, sponsored by the Pentagon’s Office of Naval Research (ONR), includes Steinheiser as a delegate under the designation “OPNAV Op-115” — which refers to the Office of the Chief of Naval Operations’ program on operational readiness, which played a major role in advancing digital systems for the military.".. "In 2003, Google began customizing its search engine under special contract with the CIA for its Intelink Management Office, “overseeing top-secret, secret and sensitive but unclassified intranets for CIA and other IC agencies,” according to Homeland Security Today. That year, CIA funding was also being “quietly” funneled through the National Science Foundation to projects that might help create “new capabilities to combat terrorism through advanced technology.”"..
"In sum, many of Google’s most senior executives are affiliated with the Pentagon Highlands Forum, which throughout the period of Google’s growth over the last decade, has surfaced repeatedly as a connecting and convening force. The US intelligence community’s incubation of Google from inception occurred through a combination of direct sponsorship and informal networks of financial influence, themselves closely aligned with Pentagon interests." Go to: https://medium.com/insurge-intelligence/how-the-cia-made-google-e836451a959e for full article by Nafeez Ahmed and link to pt.2.